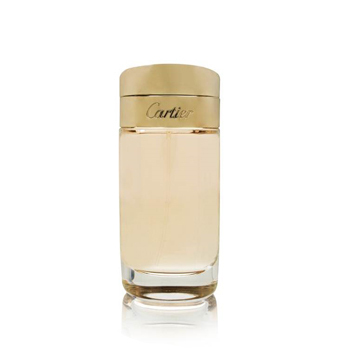 Baiser Vole by Cartier is an Eau de Parfum. This fragrance has notes of Citrus, Lily Petals and Green Lily. Powdery and Fresh. I'd give this fragrance a 4/5. When I first sprayed it on, I wasn't sure if I liked it or not. After it dried down, I must say that it grew on me. It definitely has a powdery smell to it, but it's not annoyingly powdery. I definitely smell the Lily petals with a hint of citrus. I would recommend this fragrance as an everyday fall/winter fragrance. As far as the age preferences goes: I would say it's for women 20+ (early 20's & up). It's a fragrance suitable for the more classy and elegant crowd. If you like a more mature, powdery, fresh fragrance, then this one is for you. All in all I am happy with my purchase, and I can't wait for next month's fragrance to come. Thanks Luxury Scent Box. XOXO Talley. It’s super strong at first. But when it dries it smells amazing. It smells amazing! I would definitely recommend it! I love this scent. It reminds me of my childhood. It has a sweet ending. its strong to begin but not to strong.